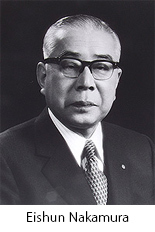 Eishun Nakamura (1908-1978), President of Nakamura Sake Brewing Company, established Nakamura Memorial Museum to share the works of art he had collected over the years, with the belief that "Art is a treasure of the people; it does not belong to one person." 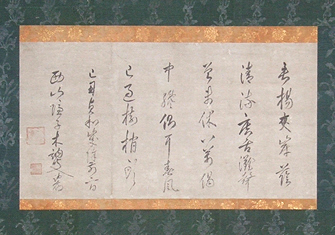 He moved his residence from Nagadohe, Kanazawa to its present location in Honda Park. It was renovated and opened to the public in 1966. 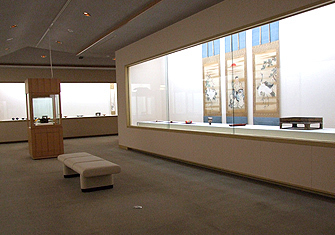 In 1975, the museum and its works of art were endowed to Kanazawa City, and the museum was renamed Kanazawa Nakamura Memorial Museum. In 1989, it was moved to a new building on the site, which was constructed to commemorate Kanazawa's centennial anniversary. 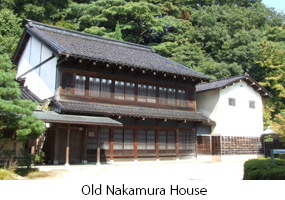 Once the new museum was completed, the old museum was renovated as "Old Nakamura House". 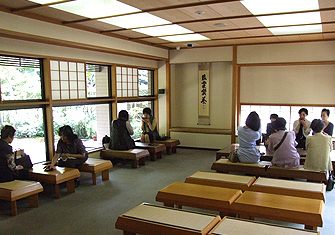 Along with the adjacent tea-ceremony house "Bai-an," it is used as a rental facility. 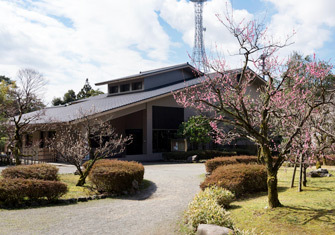 In 2001, the tea-ceremony house "Kôun-an," which was constructed in the Edo period, was endowed by Eiichiro Nakamura, Eishun Nakamura’s eldest son. Located in the garden of the museum, it has been used frequently for tea ceremonies. 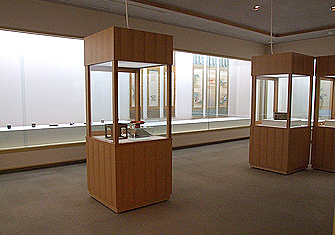 More than 1,000 items are housed in the museum, including the main collection of scrolls, tea bowls, tea caddys, teakettles and containers for fresh water for the tea ceremony, as well as works of art such as Kokutani ceramic ware, Kaga-makie lacquerware, folding screens and scrolls made after early-modern times, and works produced by local Kanazawa artists in the modern era. 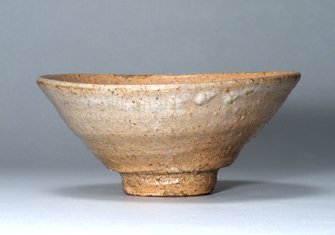 This museum is well known all over Japan as a museum housing and exhibiting tea-ceremony utensils. 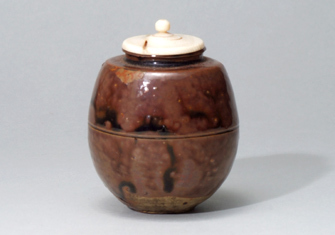 Collected with a focus on traditional works produced in Kanazawa, and works passed down in families of pedigree, as well as masterpieces from each production area. 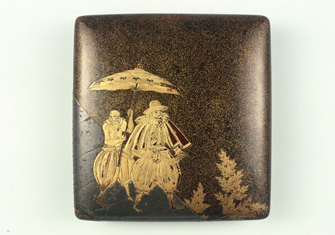 Pictures of noted painters from Kanazawa and traditional works of art produced after the Edo period. Exhibitions of works of art and crafts, mainly from the collection, are planned and held here. 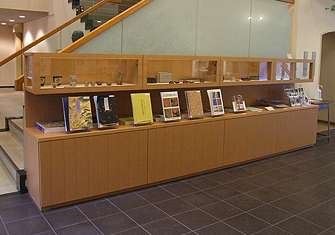 Original museum goods, exhibition leaflets and works of local artists are sold here. How about enjoying a cup of powdered green tea while viewing the garden? * Admission for special exhibitions varies. From JR Kanazawa Station Kenrokuen exit (East exit) Bus platform #3: Take the bus for "Tobu-shako" or "Kanazawa Gakuin University" and get off at "Honda-machi". Bus platform #7: Take a loop bus and get off at "Honda-machi". The museum is a 3-min walk from the bus stop.